The vinyl record revival is picking up steam every year, and we’re all about making those distinctive record shop vibes available to our subscribers – minus the spontaneous skipping. Who: Local & influential artists like The Smiths, Crystal Stilts, Deerhunter, Foxygen, The Strokes and Vivian Girls. 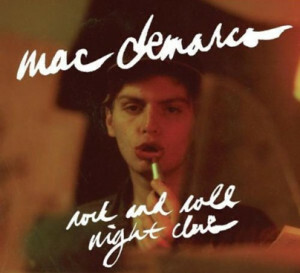 What: Jam out to Crystal Stilts’ “Shake the Shackles” and The Strokes’ “You Only Live Once”, or take it easy with Mac Demarco’s “Salad Days” and Foxygen’s “No Destruction”. This station draws from a variety of subgenres including Garage, Power Pop, Indie, Punk, and Shoegaze. Where: Stream this eclectic mix in your lounge room, Indie coffee shop, bar, casual office or trendy boutique; it’s a station that can be applied to a variety of settings. When: Featuring songs with assorted energy levels, this station is suitable to stream during all hours of the day. Why: At a time when album sales are falling, the growth of vinyl purchases from brick-and-mortar record stores is a bright spot in the music industry. Industry experts believe it’s because the average vinyl buyer isn’t just the vintage collector anymore – it’s the Millennial. However, despite vinyl’s popularity, it makes up only 6% of album sales and is dwarfed by the size of on-demand streams, which was boosted by 54% in 2014 according to Nielsen. If you’re looking to get those underground sounds that Millennials are gravitating toward and stay current with vinyl trends, Cool Record Shop is the station to stream. This station is now available to all Cloud Cover subscribers; if you don’t already have an account with us, we warmly welcome you to test out our service by signing up for a free trial today! Visit our Pricing page for more details: https://cloudcovermusic.com/pricing/.